Pure quartz glass is highly transparent and resistant to thermal, physical, and chemical impacts. These are optimum prerequisites for use in optics, data technology or medical engineering. For efficient, high-quality machining, however, adequate processes are lacking. Scientists of Karlsruhe Institute of Technology (KIT) have developed a forming technology to structure quartz glass like a polymer. This innovation is reported in the journal Advanced Materials. "It has always been a big challenge to combine highly pure quartz glass and its excellent properties with a simple structuring technology," says Dr. Bastian E. Rapp, Head of the NeptunLab interdisciplinary research group of KIT's Institute of Microstructure Technology (IMT). Rapp and his team develop new processes for industrial glass processing. "Instead of heating glass up to 800 degrees C for forming or structuring parts of glass blocks by laser processing or etching, we start with the smallest glass particles," says the mechanical engineer. The scientists mix glass particles of 40 nanometers in size with a liquid polymer, form the mix like a sponge cake, and harden it to a solid by heating or light exposure. 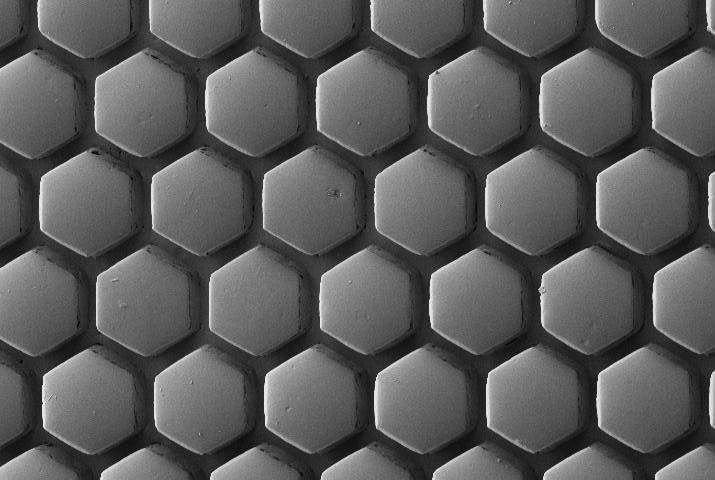 The resulting solid consists of glass particles in a matrix at a ratio of 60 to 40 vol%. The polymers act like a bonding agent that retains the glass particles at the right locations and, hence, maintains the shape. 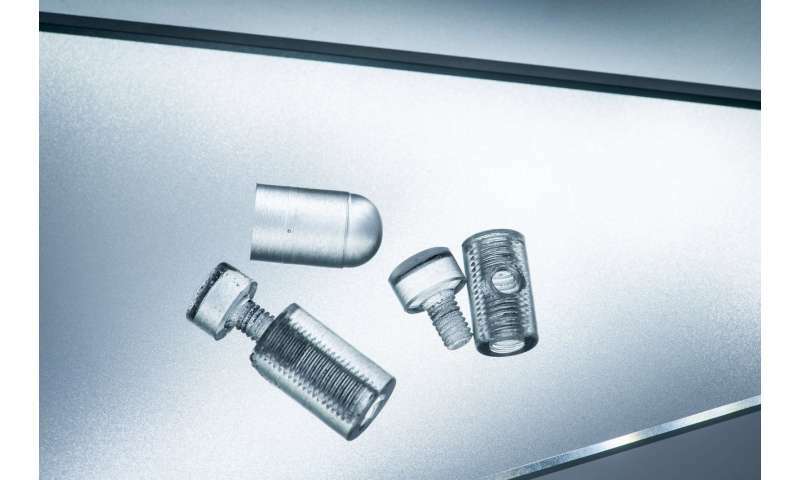 This "Glassomer" can be milled, turned, laser-machined or processed in CNC machines just like a conventional polymer. "The entire range of polymer forming technologies is now opened for glass," Rapp emphasizes. 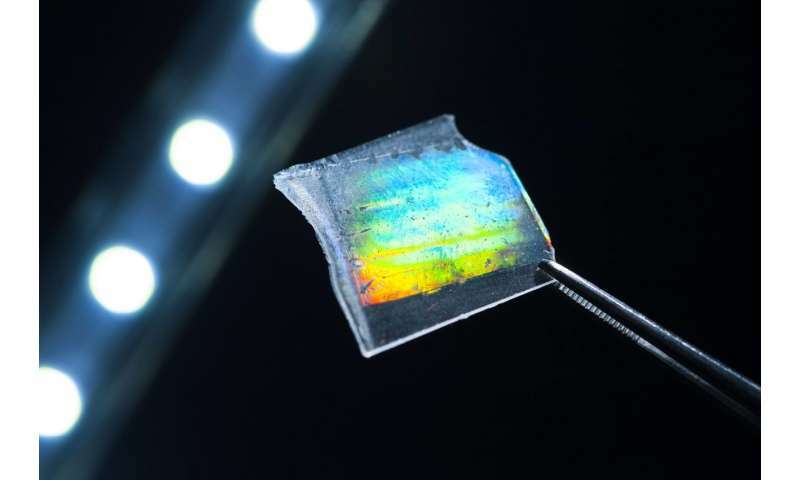 For fabricating high-performance lenses that are used in smartphones among others, the scientists produce a Glassomer rod, from which the lenses are cut. For highly pure quartz glass, the polymers in the composite have to be removed. For doing so, the lenses are heated in a furnace at 500 to 600 degrees C and the polymer is burned fully to CO2. 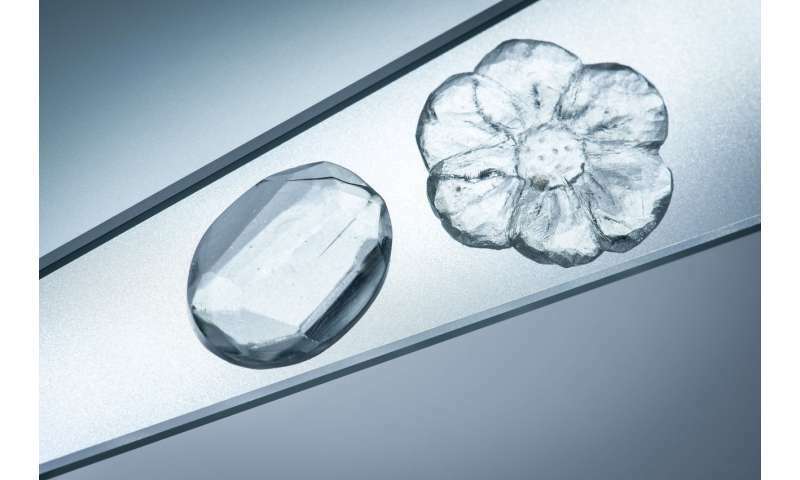 To close the resulting gaps in the material, the lenses are sintered at 1300degrees C. During this process, the remaining glass particles are densified to pore-free glass. This forming technology enables production of highly pure glass materials for any applications, for which only polymers have been suited so far. This opens up new opportunities for the glass processing industry as well as for the optical industry, microelectronics, biotechnology, and medical engineering. "Our process is suited for mass production. Production and use of quartz glass are much cheaper, more sustainable, and more energy-efficient than those of a special polymer," Rapp explains. This is the third innovation for the processing of quartz glass that has been developed by NeptunLab on the basis of a liquid glass-polymer mixture. In 2016, the scientists already succeeded in using this mixture for molding. In 2017, they applied the mixture for 3-D printing and demonstrate its suitability for additive manufacture. Within the framework of the "NanomatFutur" competition for early-stage researchers, the team was funded with EUR 2.8 million by the Federal Ministry of Education and Research from 2014 to 2018. A spinoff now plans to commercialize Glassomer.